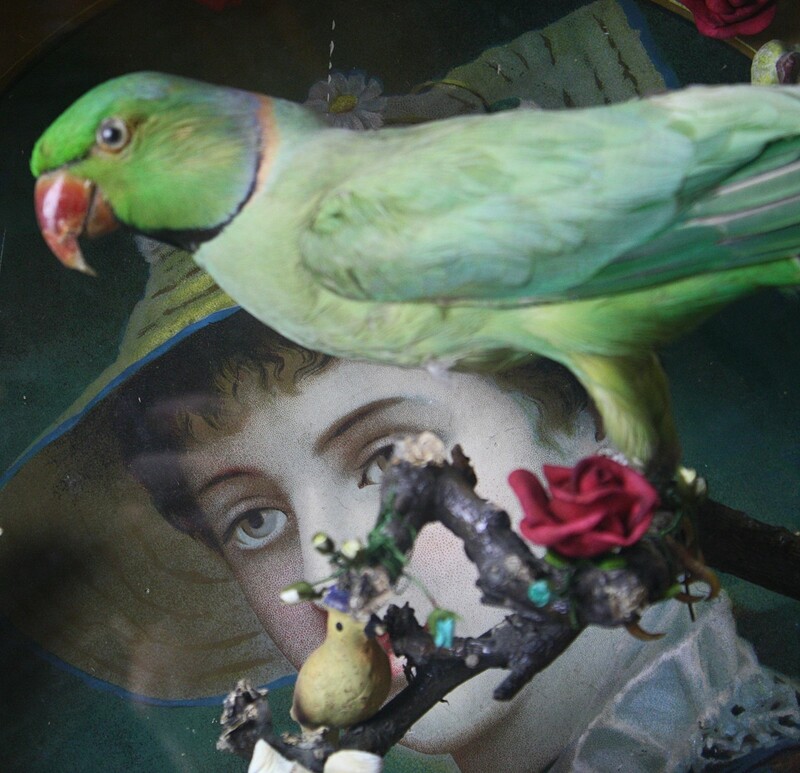 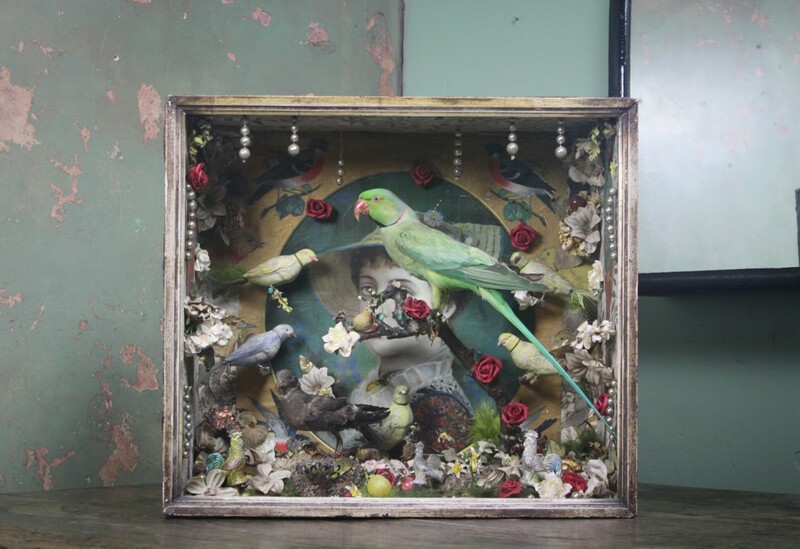 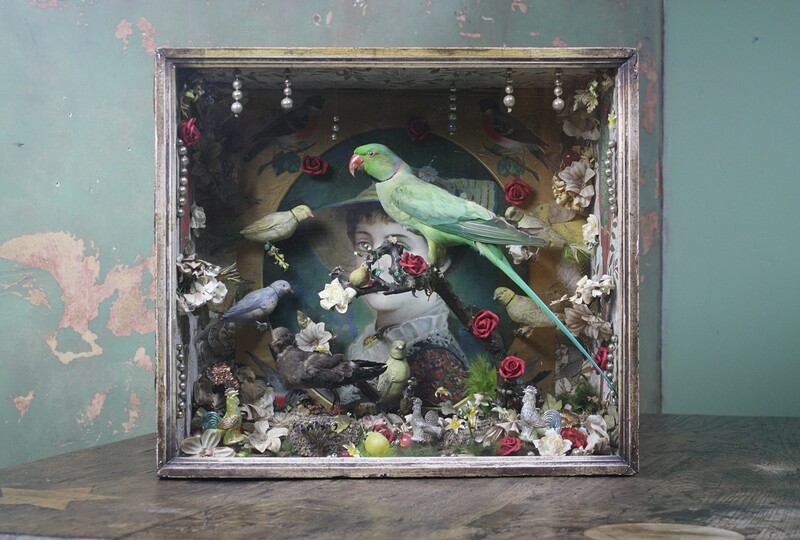 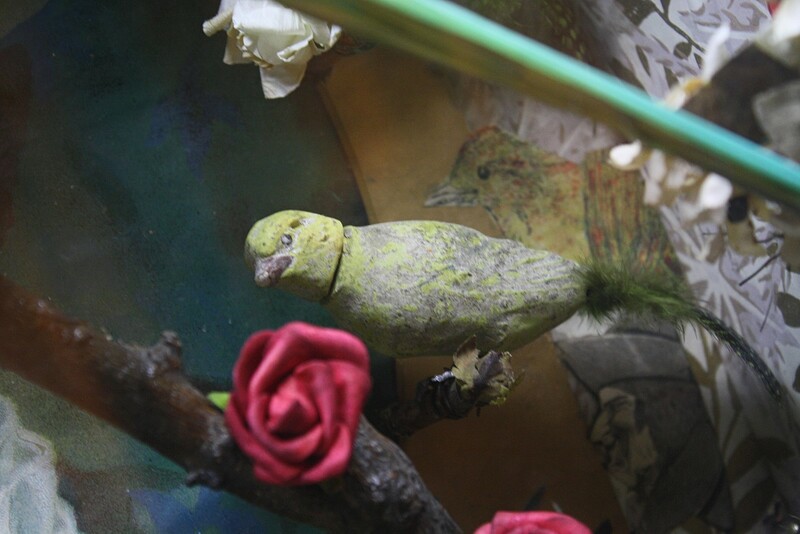 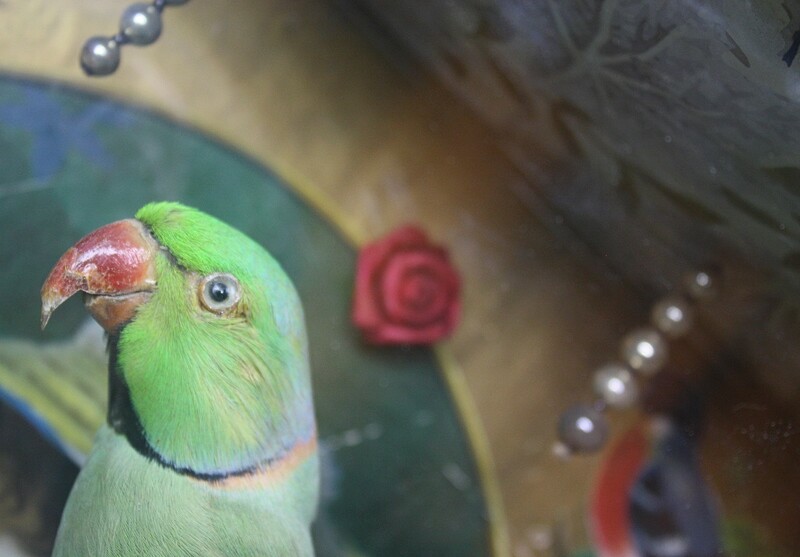 A late Victorian glazed soft wood box, containing a taxidermy Parakeet. 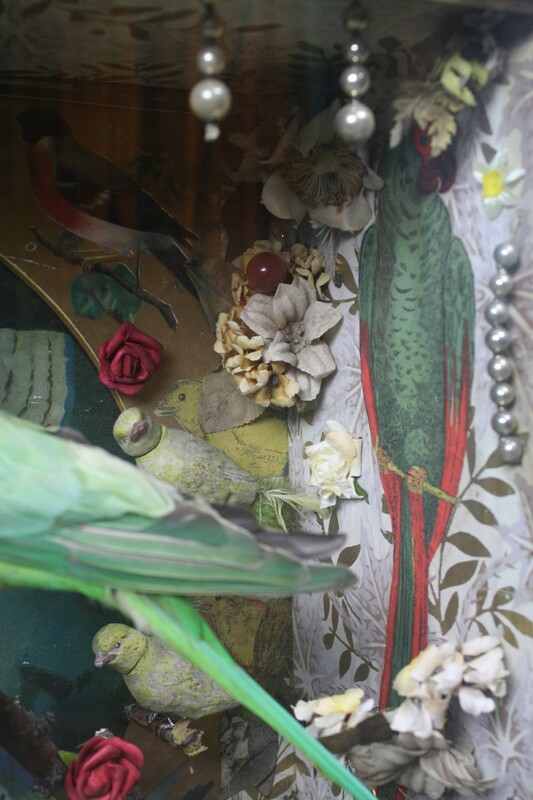 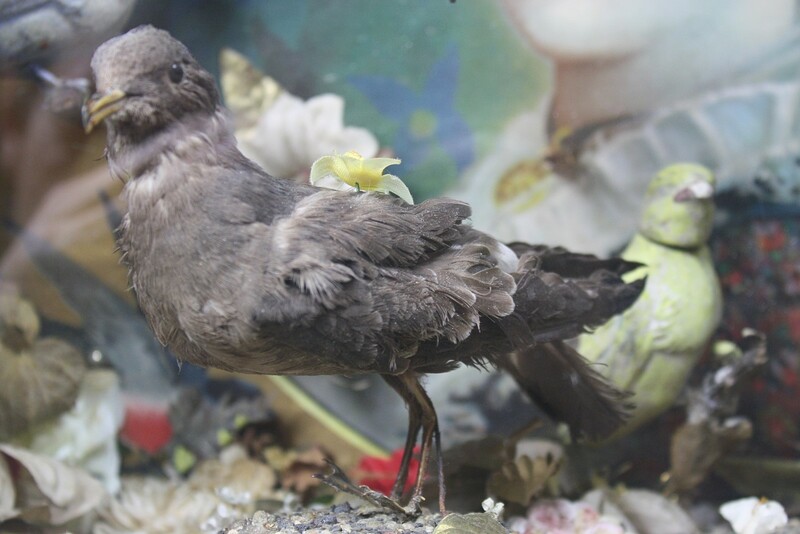 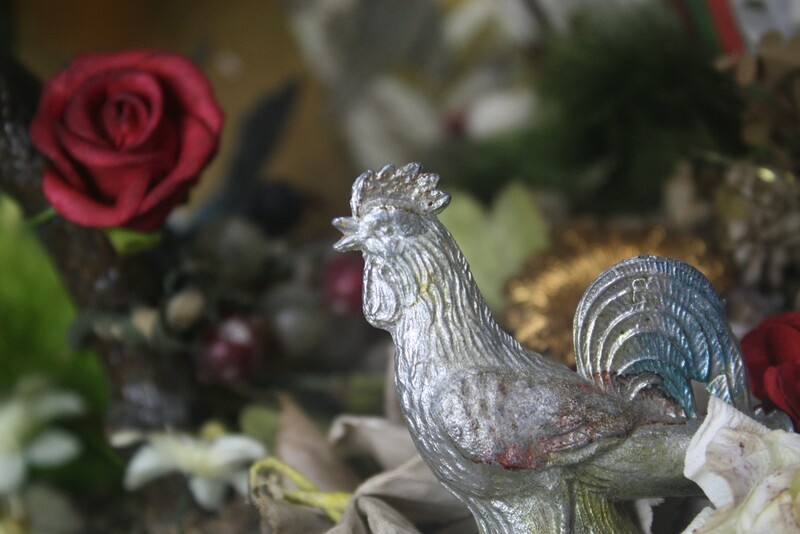 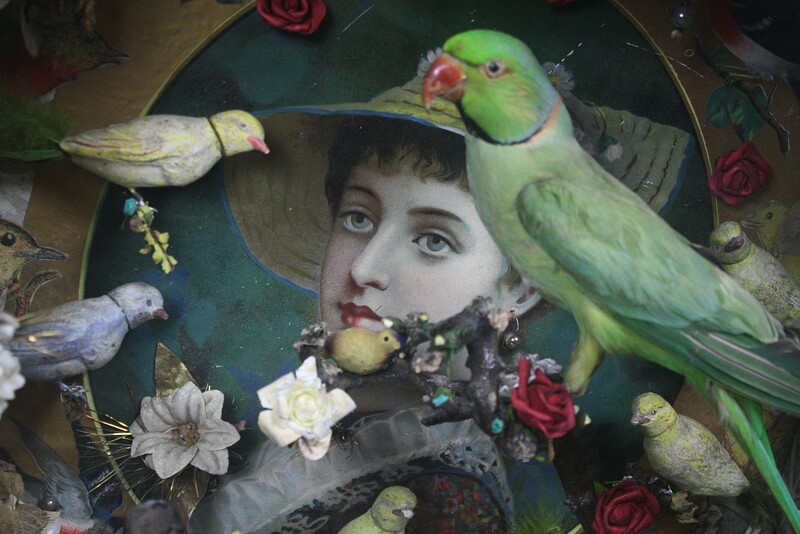 The compositsion consists of a number of elements, from hand made and painted ceramic birds, tin cockerels, paper flowers, feathers, glass beads, paper collage, foliage and found objects. 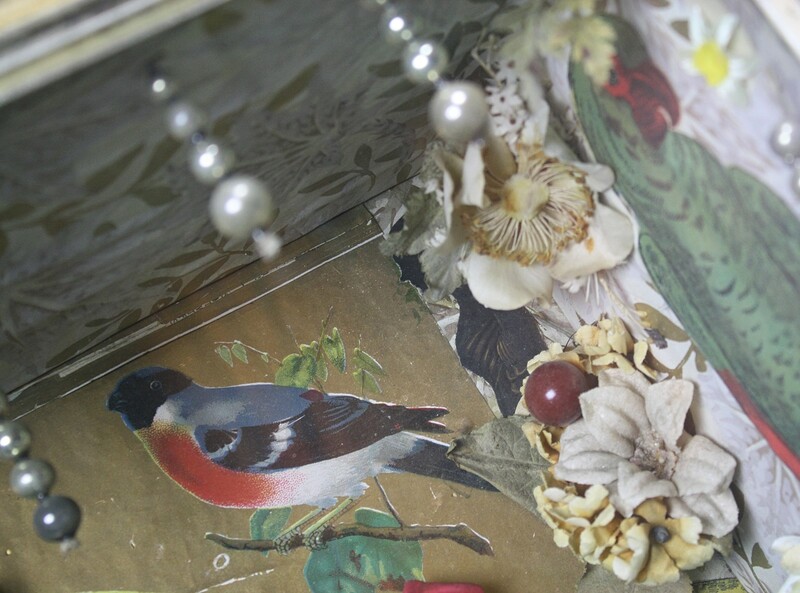 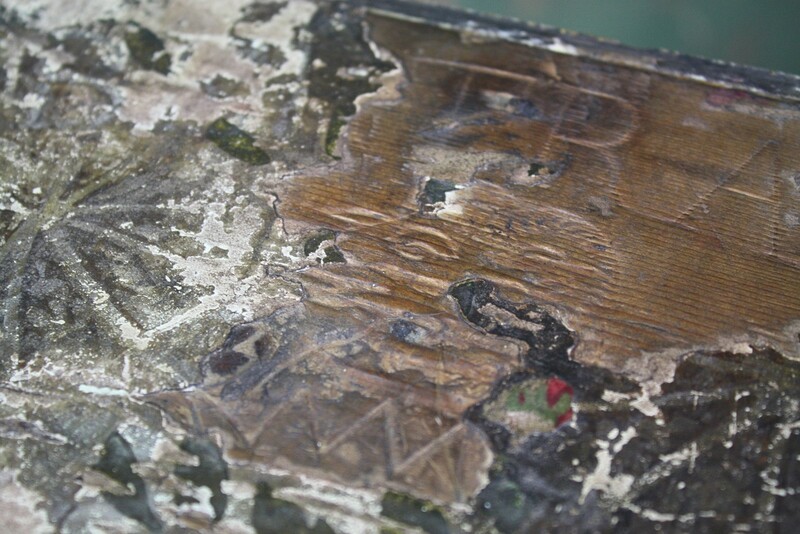 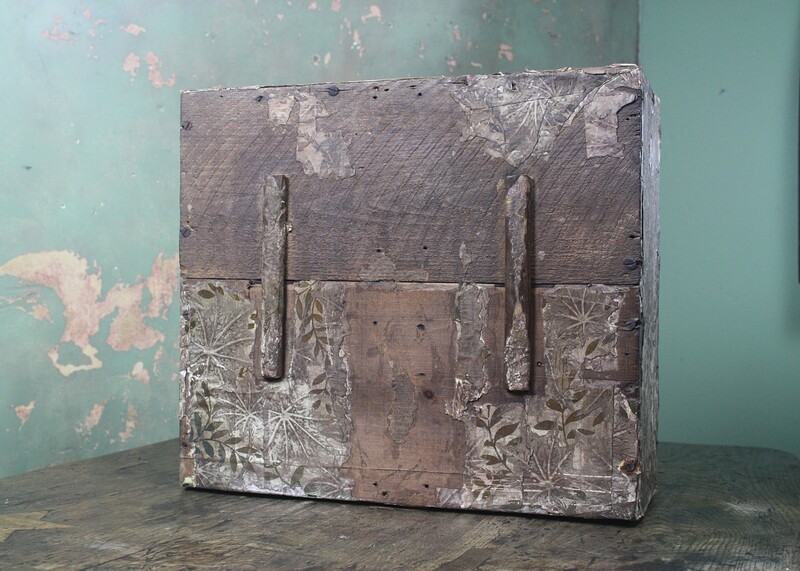 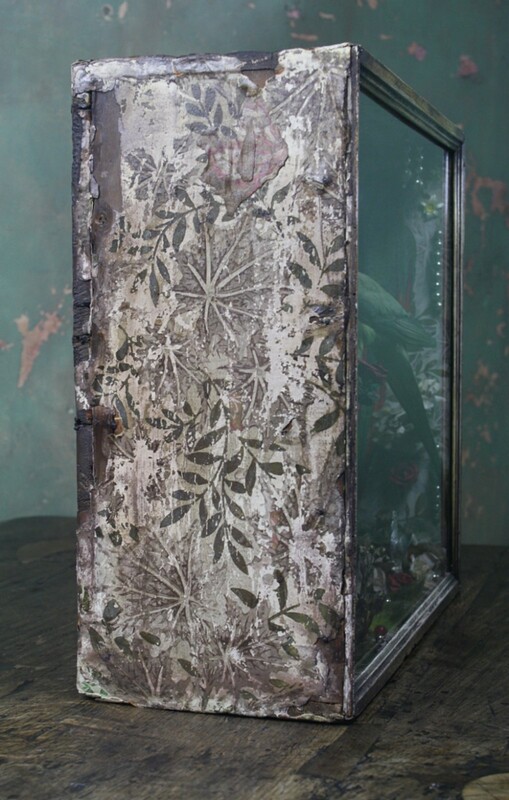 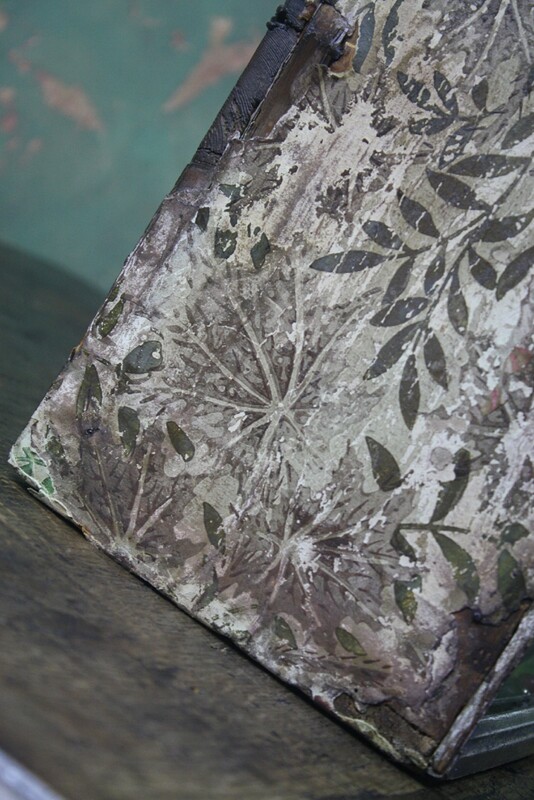 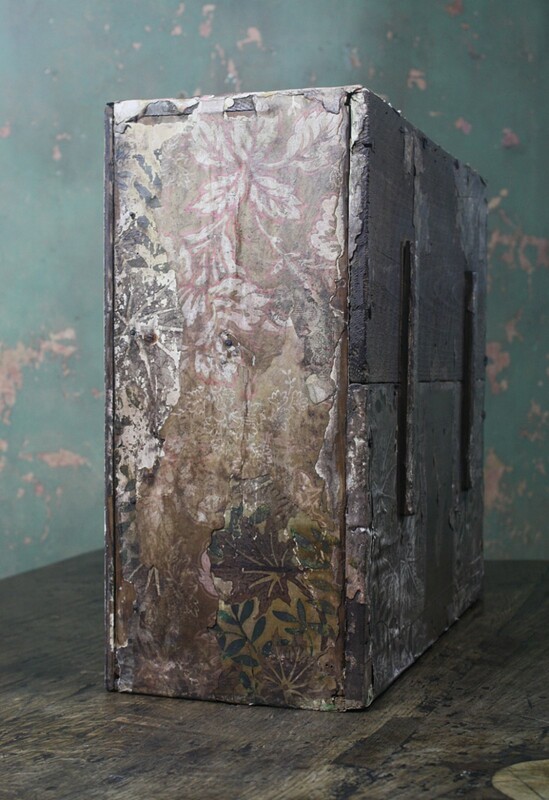 The box has then been decorated with off cuts of floral wall paper. 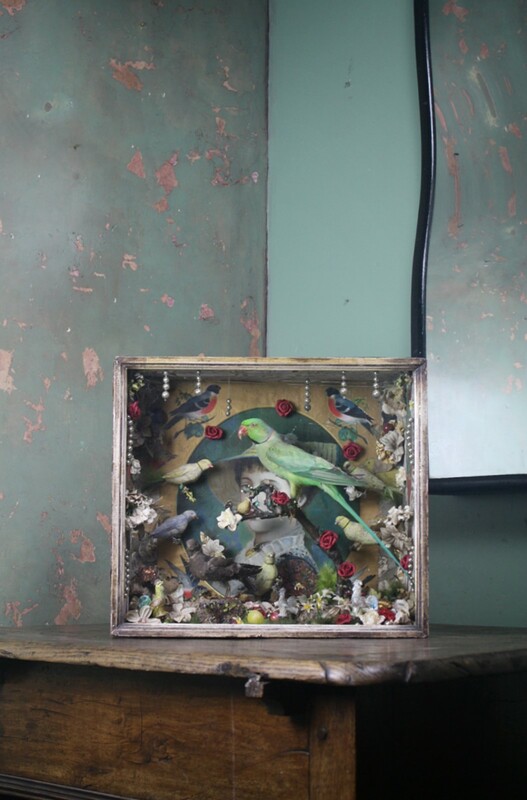 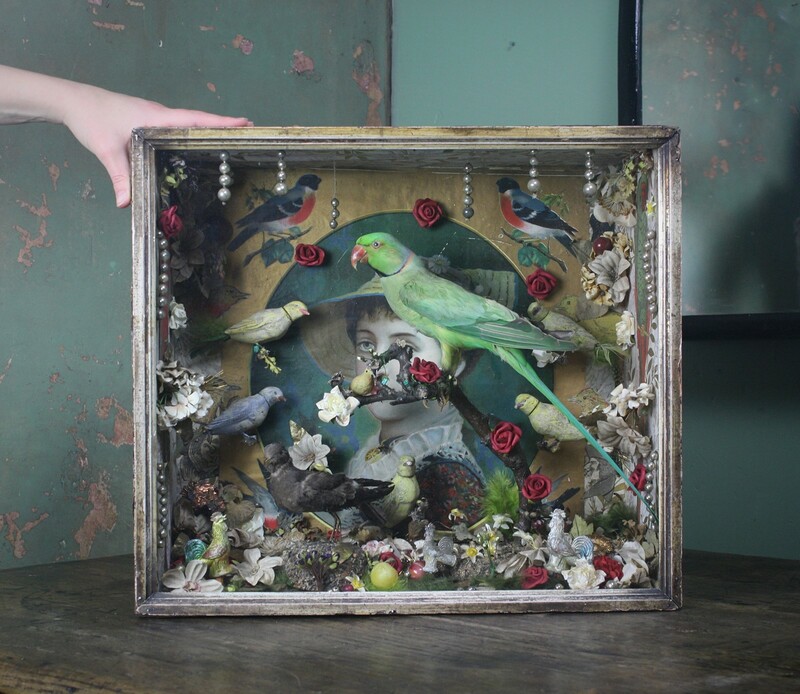 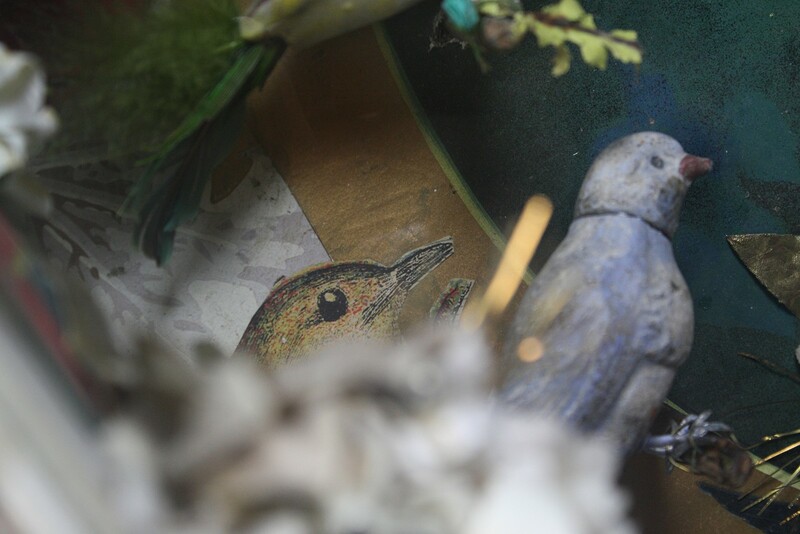 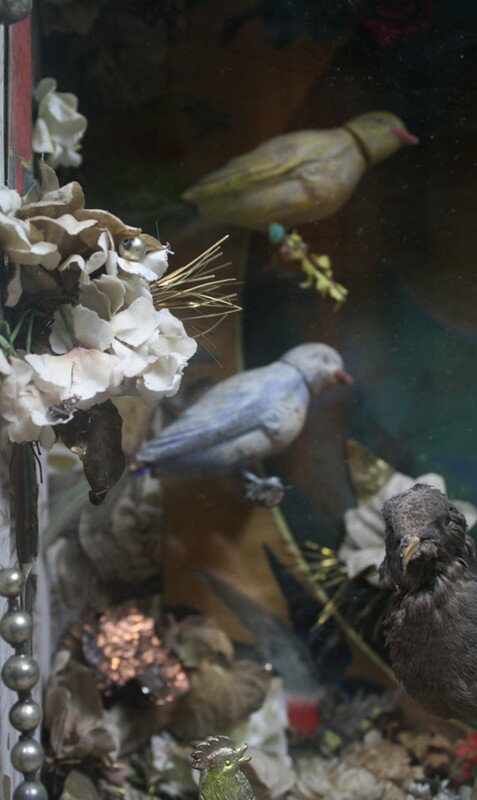 A later group of artists such as Joseph Cornell pioneered a movement coined assemblage where they would incorporated cast-off and discarded artefacts in small glazed display boxes.